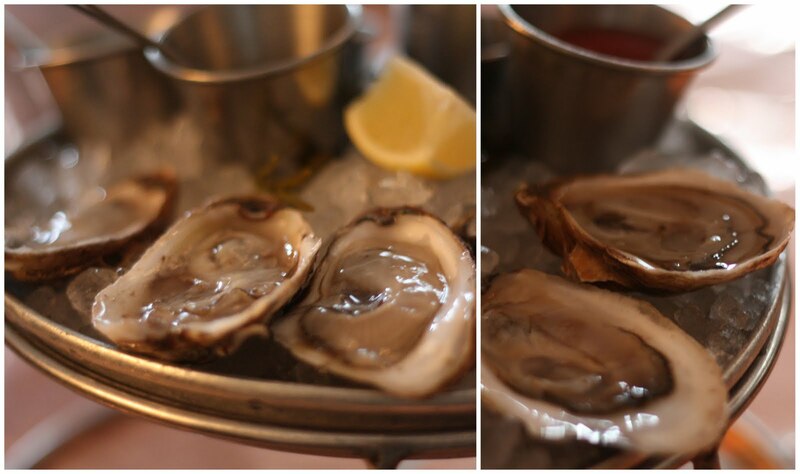 Rounding out my oyster eating in NYC, I finished up yesterday with a quick lunch at The Blue Water Grill in Union Square — a popular seafood destination. Certainly not the cozy historic feel that the other oyster bars had but good clean oysters nonetheless. I paid probably on average $2.75 per oyster with the exception if the Belon Wild which were $3.95 each. They were wild oysters and they were rare so I splurged for the experience. Next time up for the value I am hitting up The Lobster Place in Chelsea Market — a smaller selection of 5-6 oysters but they were all under $2.00 each. For an additional $.20 they will shuck them and you can sit down and toss them back right in the market. You may have thought I was done with oysters for the week but as it turns out this weekend in Richmond the Shockoe on the Half Shell is going on downtown. Watch out! Thank you. Lighting was really good in this space in addition to the oysters.